Looking to strengthen your government leadership capabilities? 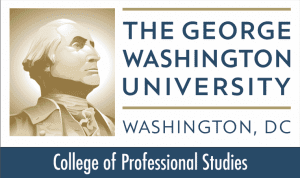 Get strategy training that has been endorsed by one of the nation’s leading public sector universities: The George Washington University: Center for Excellence in Public Leadership. Mastering Strategy is built for public sector leaders to establish practical, sustainable and cost-effective approaches to strategic execution that can be applied to your agency in real time. Learn more about how the certification program is tailored to give you the skills you need to help you and your agency succeed.